Oops--I always forget about stocking stuffers. Chocolate bars are a tradition in my family, but it's fun to get a little creative and include a few thoughtful, personal small items. And a great opportunity to throw in your faves of the season for others to enjoy! I did just that with this gift guide. 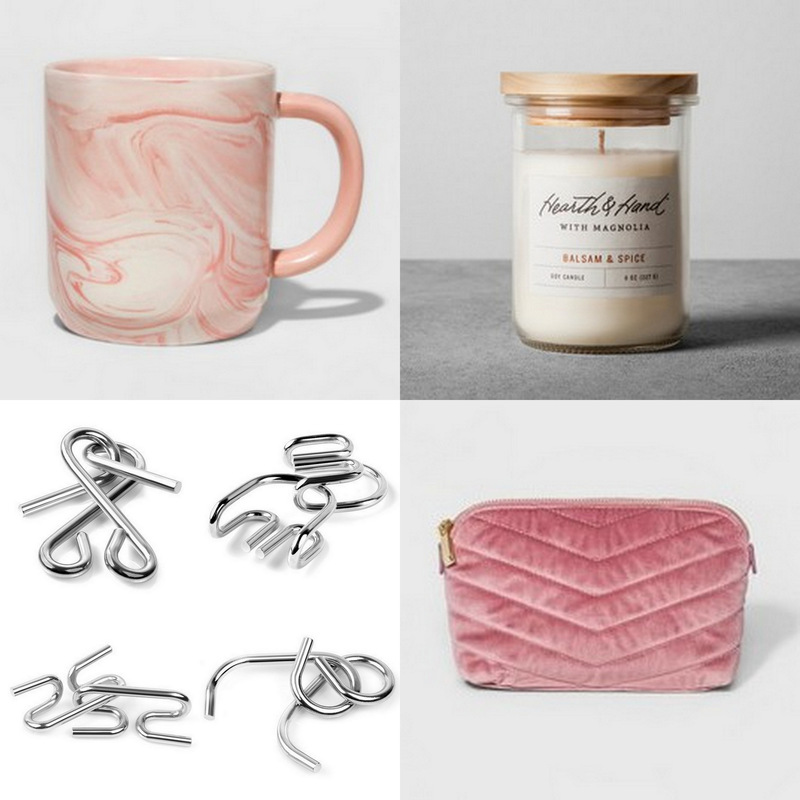 There are fabulous mugs under $5, the coolest jewelry (all on sale right now), treat-yo-self items for men and women, and more! Fun, practical, affordable stocking stuffer gift guide 2017! Click the black plus signs for these items! You can tell I am into mugs right now. I go to an annual White Elephant-style mug swap with a group of lady friends every December and it is SO fun. Mugs are a great small gift!! Of course, jewelry is a good stocking stuffer. But for guys (or anyone, but sometimes the guys are harder to buy for), I love this set of metal puzzles, these can keep people occupied for ages! I recently shared on Instagram how much I've enjoyed this book, the second in the popular Marie Kondo empire of inspirational books about getting rid of junk and living a tidy, uncluttered lifestyle. This second one has more of the practical tips than the first, and is small so would fit in a stocking!